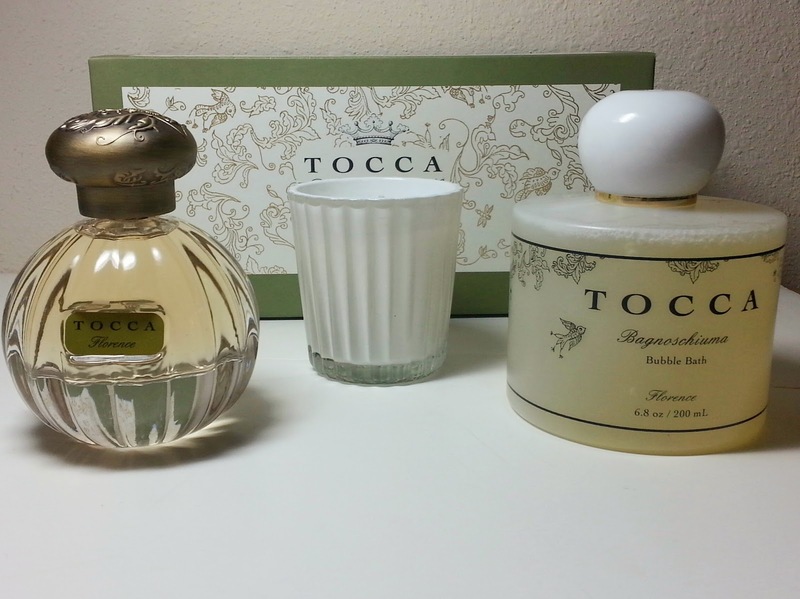 Tocca is one of those brands whose products just exude pure elegance and beauty. It's no shocker I'm loving their Luxe Spa Set for Valentine's Day. This contains everything you would need to really pamper yourself and feel great this Valentine's Day. This three piece set contains a Eau de Parfum, Mini Candelina and first-ever Bubble Bath in the Florence fragrance. Travel the world and never leave your favorite fragrance behind. A Parisian beauty and sophisticate, Florence conjures memories of old-world Paris. Its luxurious refillable case is delicately decorated with metallic gold in Tocca’s iconic bird design. Retails for $68 (a $110 value). The fragrance alone retails for $68, so you are essentially getting two great free products in addition to the fragrance. Notes: Italian Bergamot, Grapefruit Leaves, Green Pear, Apple, Ivory Gardenia, Crushed Violet Petals, Jasmine Tuberose, Blue Iris, Blonde Wood, White Musk. This is probably my favorite scent from Tocca that I've tried so far. The romantic light scent is a perfect fit for me. I love lighter scents with fruit notes, so this hit it right on the mark. You can't deny the beauty of this set, especially with the decorative metallic gold bird design. It would be a great treat for yourself or to not so subtly hint to your mate that you're dying for. This is available at Sephora and it also qualifies for triple points if you are a Sephora Beauty Insider, which is free to sign up for. Hurry because this is exclusive to Sephora and is limited edition!